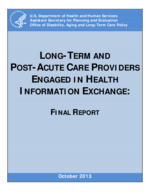 Long-Term and Post-Acute Care Providers Engaged in Health Information Exchange: Final Report Information Exchange in Integrated Care Models: Final Report Long-Term and Post-Acute Care Providers Engaged in Health Information Exchange: Final Report EHR Payment Incentives for Providers Ineligible for Payment Incentives and Other Funding Study EHR Payment Incentives for Providers Ineligible for Payment Incentives and Other Funding Study. 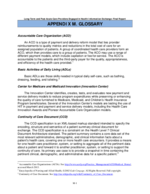 Appendices. The environment facet captures categories that the contextual factors that can influence HIE care coordination, including which patient population(s), which setting(s) and what timeframe. In addition, care coordination effects may be impacted by facilitators and barriers of care coordination. 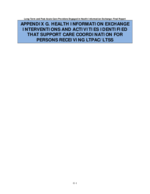 Examples of factors that may facilitate or impede care coordination and the exchange of health information include the availability of resources, payment structure, patient complexity and capacity, and local culture. Captures teamwork climate, values, culture or organization. Teamwork climate, values, organizational leadership in support of HIE, staffing models. 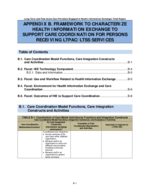 Structure & management systems for care coordination & integration. Governmental policies & regulations that influence the organization & business factors (e.g., competition). Organizational policies & procedures which can vary by organization, location within the facility and/or care coordination practices. Funding initiatives including Medicare & Medicare programs that promote care coordination, ACOs, & payer initiatives. 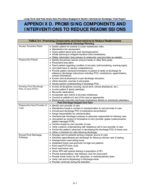 Financial incentives & payment factors for HIE (e.g., Medicare demonstration programs, ACOs, Medicaid-funded services, performance reporting & associated incentives & penalties). 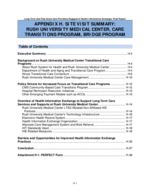 Examples of government initiatives included in Appendix A.
MU incentives include HIE to support care coordination, which will facilitate the exchange of patient summaries. 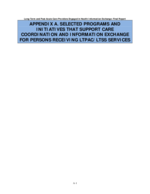 LTPAC/LTSS providers are not eligible for the MU incentives; however, they will benefit from receipt of standardized patient care information from exchange partners such as hospitals. The leadership for use of HIE to support care coordination. 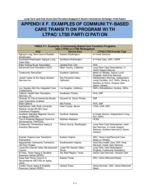 Leadership within the health care settings supporting the use of HIEs for continuity of care relevant to LTPAC/LTSS. Which environment the HIE is being used. 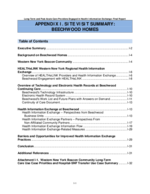 Setting where HIE is implemented & used (e.g., acute care, home health, SNFs, LTSS, other community-based services, behavioral health services. Exchange with affiliated providers & with non-affiliated providers. 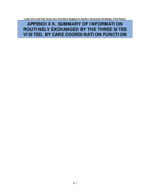 Organizational models of care (e.g., part of an IDS) within which the HIE intervention is occurring. HIE in ACOs, HIE in IDSs. HIE in LTSS & CBOs. This includes the resources available to support the implementation of the HIE such as training. 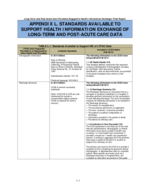 Includes support for staff who are engaged in HIE & care coordination & potential increased workload. Resources cover a broad range from financial & human resources (e.g., HIT & infrastructure that can enable) HIE such as bandwidth, IT support; support for training, users, management of the HIE implementation & ongoing support. Community supports that enable the HIE intervention (e.g., HIEOs, IDS). Funding for HIE (private, state, federal, etc.). May be increased workload & need for increased staffing due to implementation of EHR & HIE, as well as improved care coordination.